We raise pastured poultry, which means our birds spend their lives in breezy, portable “chicken tractors” that are moved at least once every day. We supplement their foraging with local, non-GMO feed, and they are never fed antibiotics. The benefits to a pasture-based lifestyle are evident in every bite: we guarantee you will love the juicy, firm, flavorful meat that signifies a quality, pasture-raised bird. Taste isn’t the only benefit to eating responsibly-raised meat–pastured poultry is also better for the land and for your health. 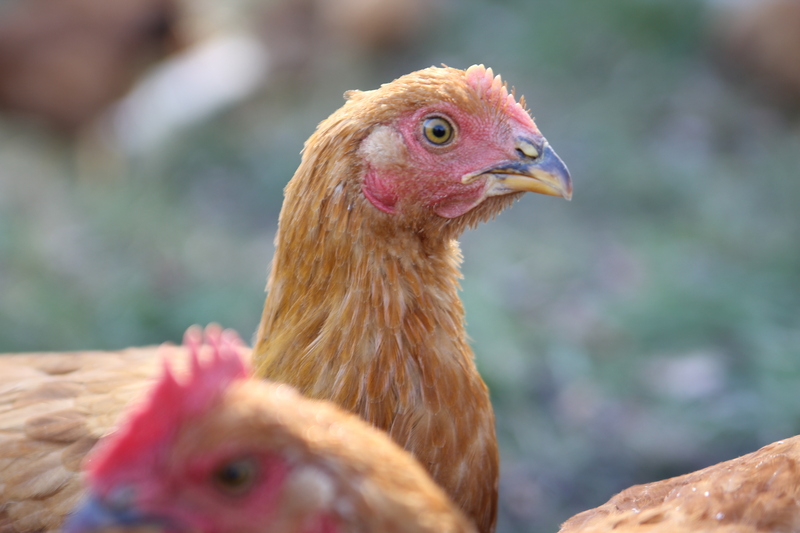 The chickens improve the soil with their nitrogen-rich waste, and help manage pests, especially when incorporated with a rotationally grazed cattle system. As a customer, you can be assured that your family is eating clean food, absolutely free of hormones, steroids, or antibiotics. Studies show that pastured-raised meats have fewer calories, higher levels of vitamins, and a healthier balance of omega-3 and omega-6 fats than conventional meat products. 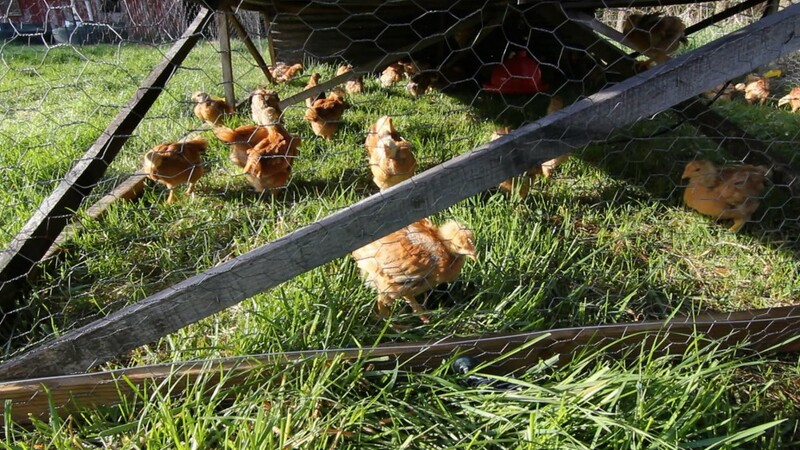 Like all of our animals, our chickens thrive in sunshine, grass, and fresh air. As soon as we pull the tractor over a fresh piece of pasture, the chickens go wild eating grass, crickets, grasshoppers, and–to our benefit–mosquitoes and ticks! Our chickens are free to run around the pen (which they often do, especially when one finds a juicy grub), scratch up treats in dried cow-pies, and take dust baths in the sun. In other words, they are free to be chickens, unlike birds that are cooped up in industrial farms.